This is gorgeous Sylvie. I love your fabulous design and beautiful colours. Very pretty. 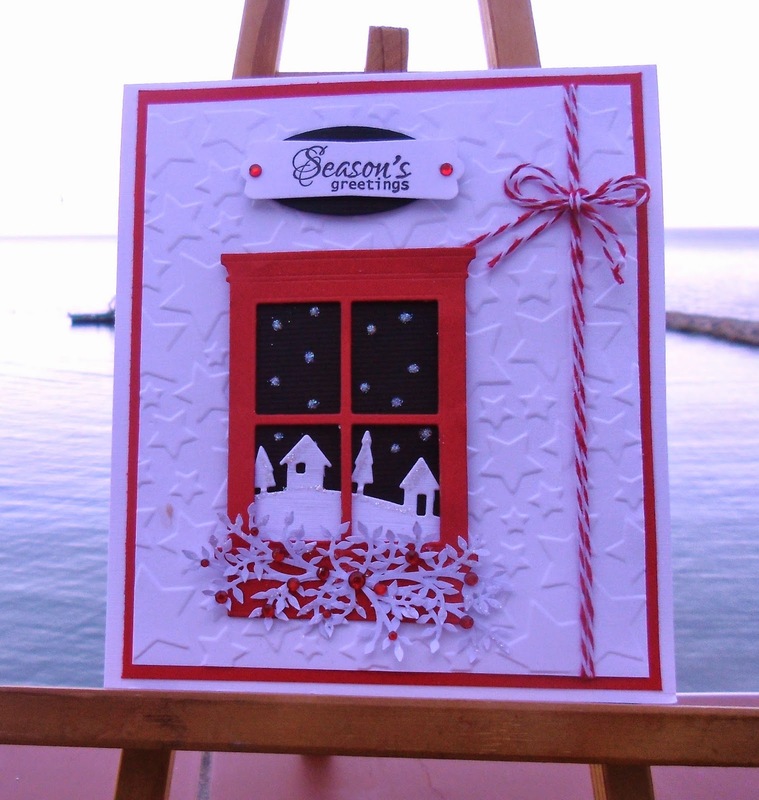 love the MB die nside the window...creating a sweet litle scene! Gorgeous card Sylvie.....love that star e/f and it matches in with the night sky beautifully. Sounds like you had a great weekend. No weather like that for us......just muggy and wet! What a really cute Christmas card! I love it! Beautiful card Sylvie, love the red. This is really gorgeous Sylvie I love the scene & the embossing. Well worth the wait Sylvie - I love this one, so beautiful. That's a great design for the Christmas card, Sylvie. I like the night window set on a blanket of white. Must feel weird making a Christmas card when it's so hot there in Gib! A beautiful Christmas card, I love the scene through the window - lovely!